Sepsis wasn’t in my vocabulary until 6 years ago. Working an overnight shift doing patient registration for the ER at a local hospital teaches you lots of new things. I learned how to control my emotions when having to take and make code calls, how to spell diarrhea correctly without second-guessing, and that infections put you and your family at risk for a life-threatening condition called sepsis. 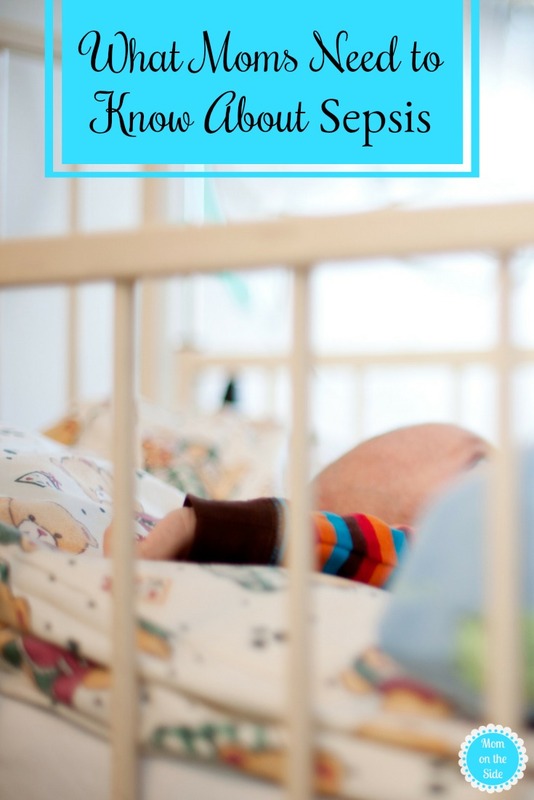 Between my four kids, we’ve dealt with everything from RSV, to an infected tooth, to a heart procedure, to dozens of little illnesses over the course of 16 years. Nothing makes my mom heart worry more than when my kids aren’t feeling well. Especially considering that anyone can get an infection, and almost any infection can lead to sepsis. 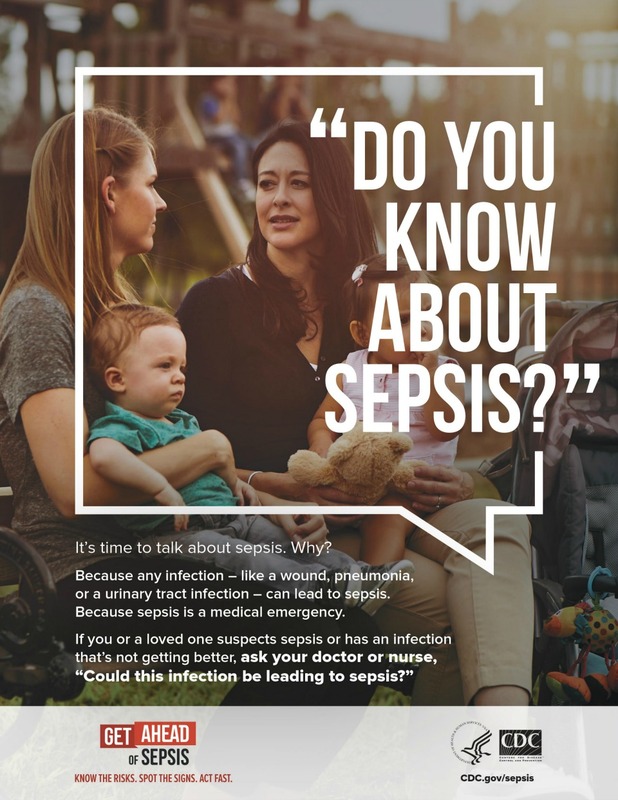 The Centers for Disease Control and Prevention (CDC) recently launched a new initiative, Get Ahead of Sepsis, to help educate Americans about sepsis and how to prevent infections that can lead to sepsis. Are you wondering what sepsis actually is? I know I was when I first heard the word. Did you know that only 55% of Americans have heard of sepsis? sepsis can rapidly cause tissue damage, organ failure, and death. Knowing the risks, spotting the signs and symptoms, and acting fast if you suspect sepsis are all ways to get ahead of it. When my twins had RSV four years ago, I watched them closely because infections can trigger a chain reaction throughout the body. They got better without any troubles but I watch for signs and symptoms every winter when their coughs flare up. What are Signs and Symptoms of Sepsis? Anyone can get an infection and almost any infection can lead to sepsis. taking good care of chronic conditions and getting recommended vaccines. 2. Practice good hygiene, such as handwashing, and keeping cuts clean and covered until healed. 3. Know the signs and symptoms of sepsis. not getting better or is getting worse.